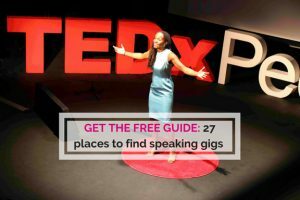 FINDING SPEAKING GIGS: Should You Outsource? PUBLIC SPEAKING: Should You Outsource your Research? 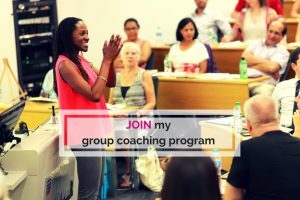 Today, I’m going to share a few reasons why you might want to seek help with your research when you’re looking for public speaking opportunities. Last month I spoke at a big conference for a health association here in UK. 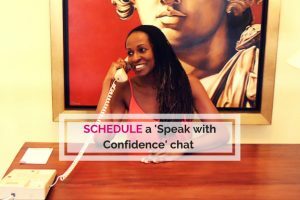 After the event I held some private consultations with some of the attendees and one of them, a health coach, shared her speaking plans. She was also dreading having to sit down and do the research of finding companies that she could speak at. Most of us in business want to do the thing that lights us up. Sometimes, marketing tasks like researching companies or researching opportunities feel like a real drain and a real struggle for us to get into. We end up procrastinating and wasting time. So I suggested to her that perhaps she should use a service to help her with the research. You can give them the search terms you typically use to find speaking opportunities and they can go ahead and come up with a list of companies for you to contact. First of all it frees you up to do the things that you do best. When I’ve got a task to do that I really don’t enjoy, I tend to procrastinate horribly. I will work on every little thing that needs doing before I get to that item. So I end up doing the laundry, maybe emptying the trash, tidying up. Whatever it might be, I’ll do all those things. And then only when there’s nothing left to do, that’s when I sit down and get on with the ‘dreaded’ task. Sometimes, it makes sense to take those tasks off your plate if you possibly can. These days, we have services like Elance, Fiverr, and lots of quite good researchers to hand those tasks off to. Within 2-3 days they will come back with a nice long list, then we can set about the next stage of the process which is actually contacting those particular events or organisations. The researchers who do this professionally often have access to much more data than some of us do. For example, they may have the paid version of LinkedIn where you can do a lot more deep company research than if you’re on a free version. Of course, it makes sense for them to have a paid version because they’ll be pounding it – they’ll use it on a day to day basis. But for us, we may only use it once in a while. Does it make sense for us to spend 50 bucks a month on LinkedIn? These researchers may also have tools to help them scan a web page and quickly pick up the email addresses rather than having to look for them using the naked eye. They have the tools to be quick and efficient. When we’re doing our own research, we can often get pulled down a rabbit hole. We can waste a lot of hours searching and on the way we’ll find a lot of interesting links to distract us. Before we realise it, a half a day is gone. It’s fun, it’s interesting, it’s engrossing…but it’s not the way we’d set out to spend our day. We wasted our precious time. If you’re a person that gets pulled off into different direction very easily, then it may serve you to find people to help you with this research. But you don’t want to hand things off to people immediately before you really have a good idea of your industry or your target area that you’re focusing on. You must have an idea of what kind of events you’d like to speak at. Do your own research first. Find out where people like you speak, what are the big events in your town or city or even globally that you’d like to target. What are the key search terms you use to find your favourite meetings? I suggest when you start, you do some thorough research yourself and then you can tailor those such terms that you pass on to your researchers.